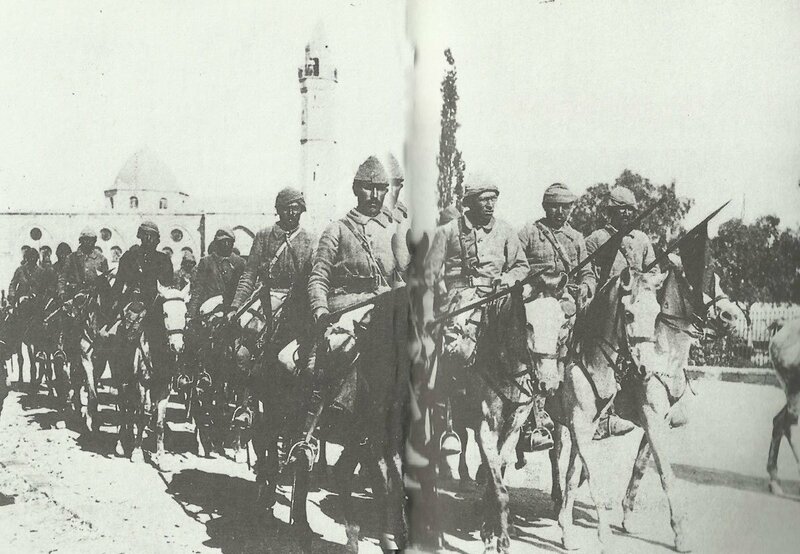 A column of Turkish cavalry moves in Palestine to the front. Palestine: Kress evacuates Wadi Sheikh Nuran for Gaza-Beersheba line. Mesopotamia: Maude resumes advance; 13th Hussars’ charge foiled by second trench line. Russia: Romanian people of Austrian PoWs in Darnitsa Camp near Kiev sign oath to fight Dual Monarchy. London Ambassador Page cables to US ‘France and England must have … enough credit in the US to prevent collapse of world trade’. Austria: Government reply to USA backs U-boat war. Russia: Lord Milner returns from Petrograd saying ‘it is quite wrong to suppose that in Russia there is any controversy about the waging of the war’.